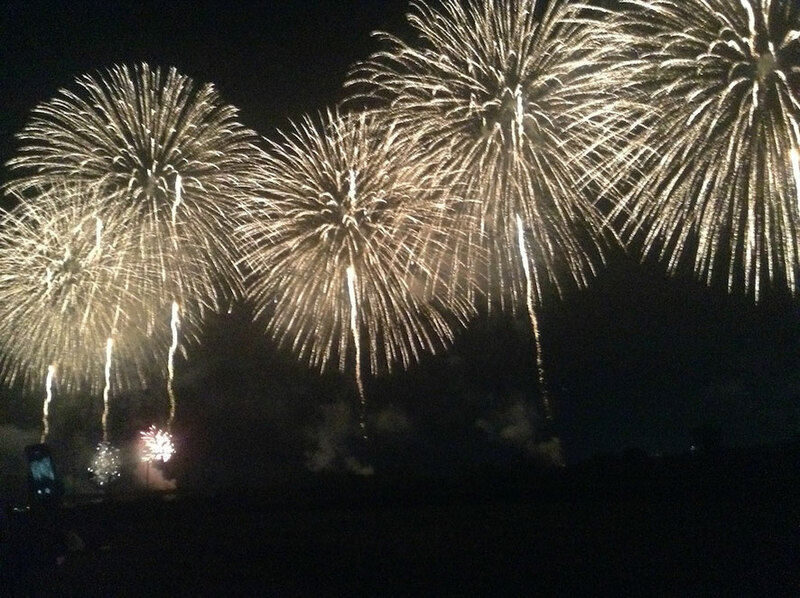 I went to Nagaoka Fireworks Festival in Nagaoka City, Nigata Prefecture, Japan. 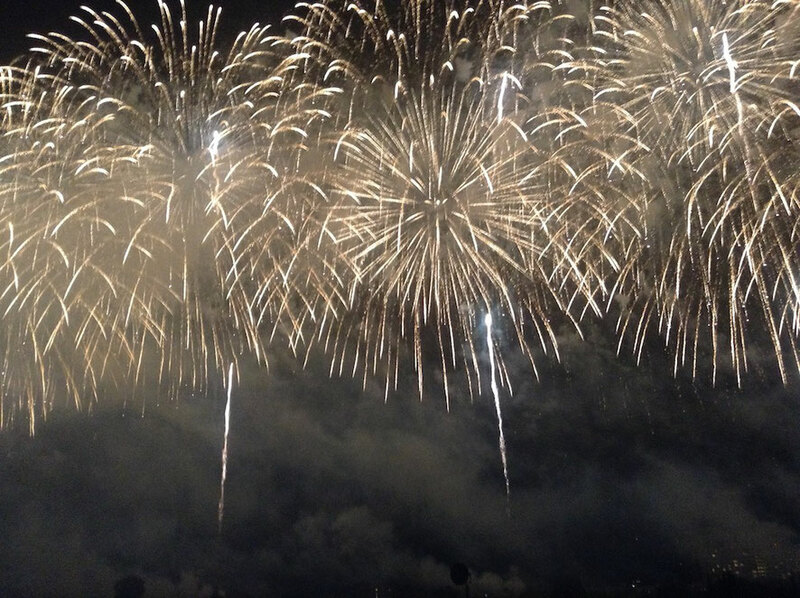 Nagaoka Fireworks Festival started from August,1946 for purpose of remembrance of the dead of World War II. 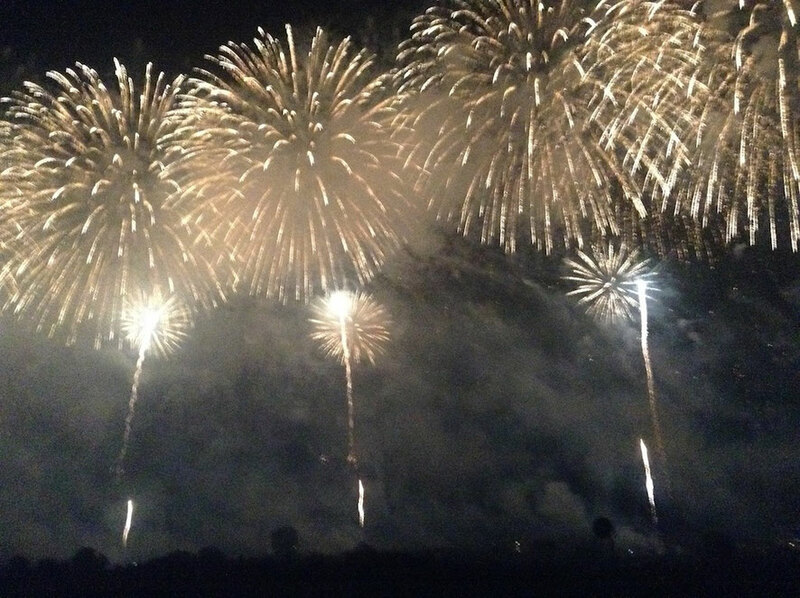 It holds near Ote big bridge along Shinano River every August 2and 3, and it has many big fireworks. This fireworks' name is "Phoenix" and it was started for praying recovery from Nigata Chuetsu Earthquake. Its background music is "Jupiter" sung by Ayaka Hirahara. This fireworks' name is "Kome Hyappyo Fireworks and measure ball 100 firing". It is famous fireworks of Nagaoka Fireworks Festival, too. Its background music is "Try looking up the sky" sung by Chikako Sawada. 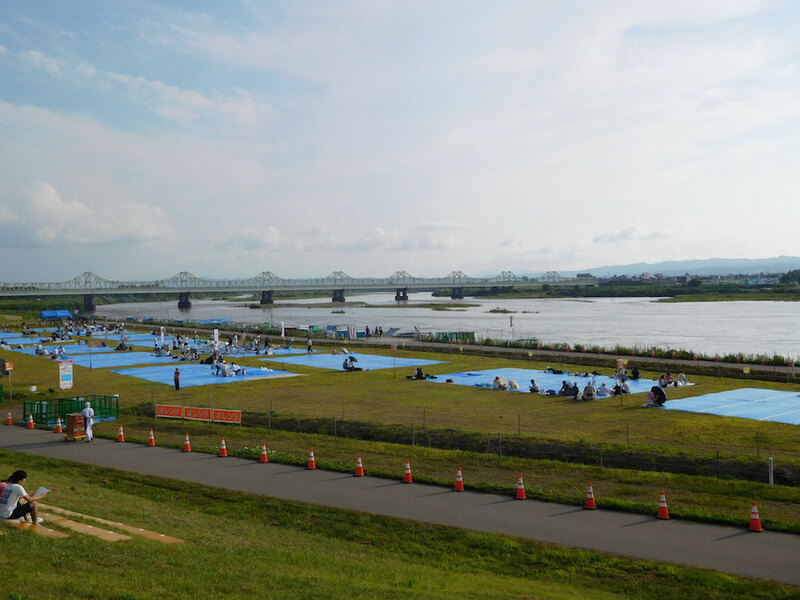 It is the venue of Nagaoka Fireworks Festival near Ote big bridge along Shinano River. 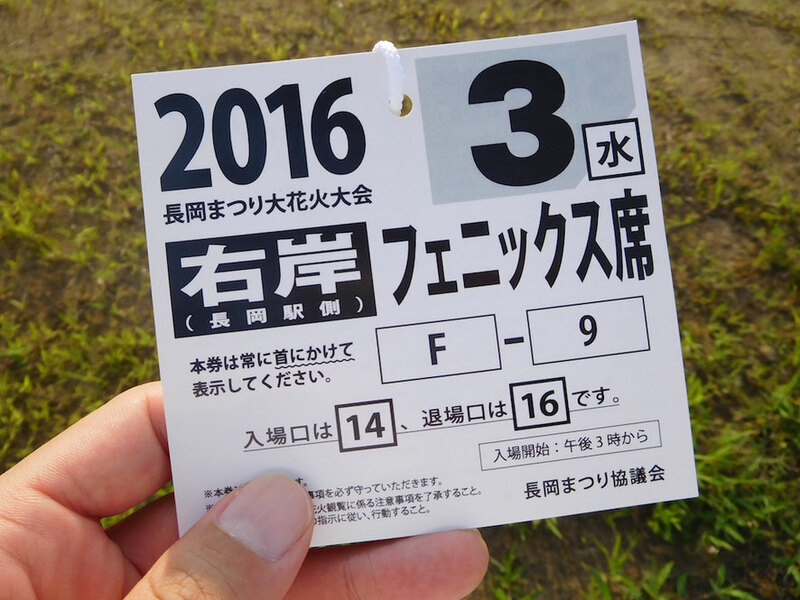 We can buy tickets for reserved seat on the day of the fireworks festival. 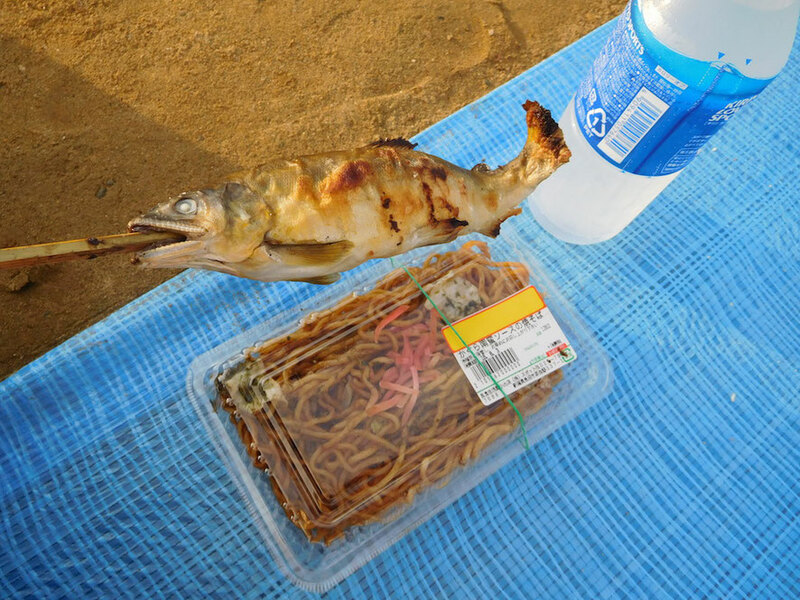 I ate boiled ayu with salt. It was fat and delicious. 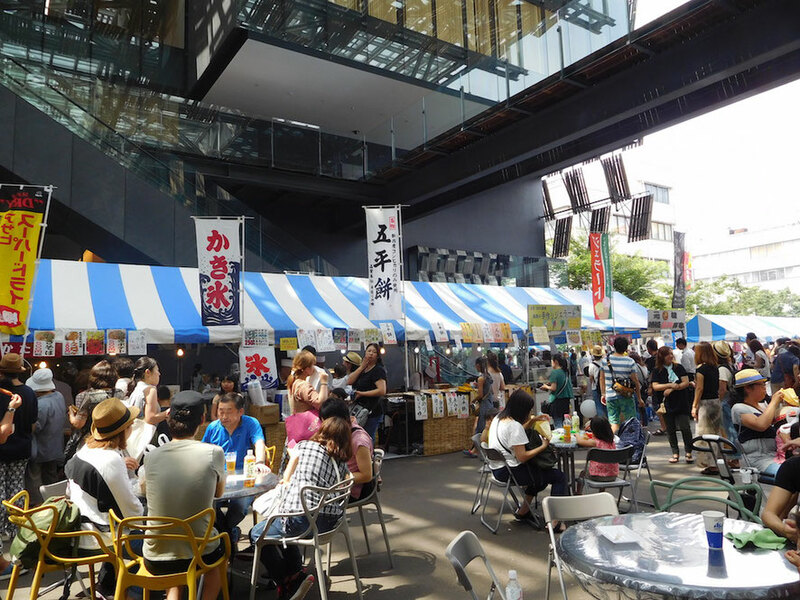 I stayed Aore Nagaoka until beginning of Nagaoka Fireworks Festival. 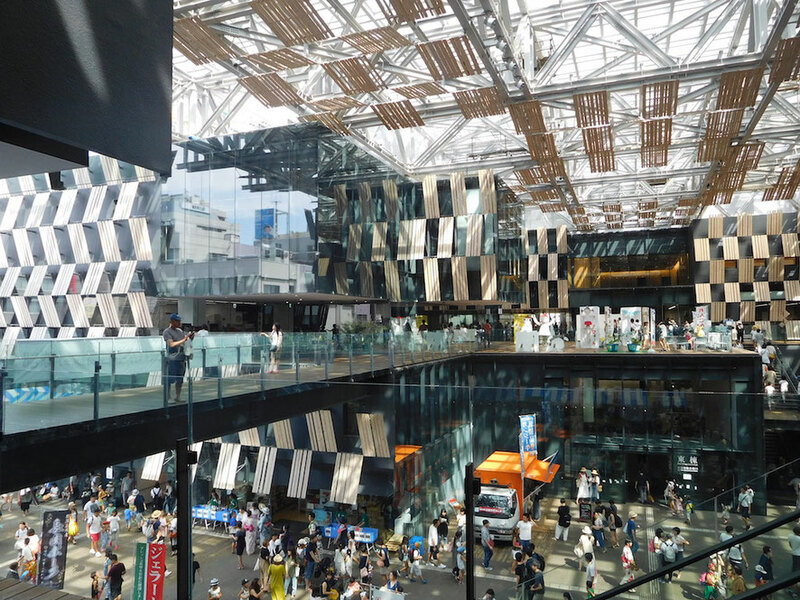 Aore Nagaoka is Nagaoka City Hall and event venue near Nagaoka Station and it was designed by Mr.Kengo Kuma,an architect of Japan. 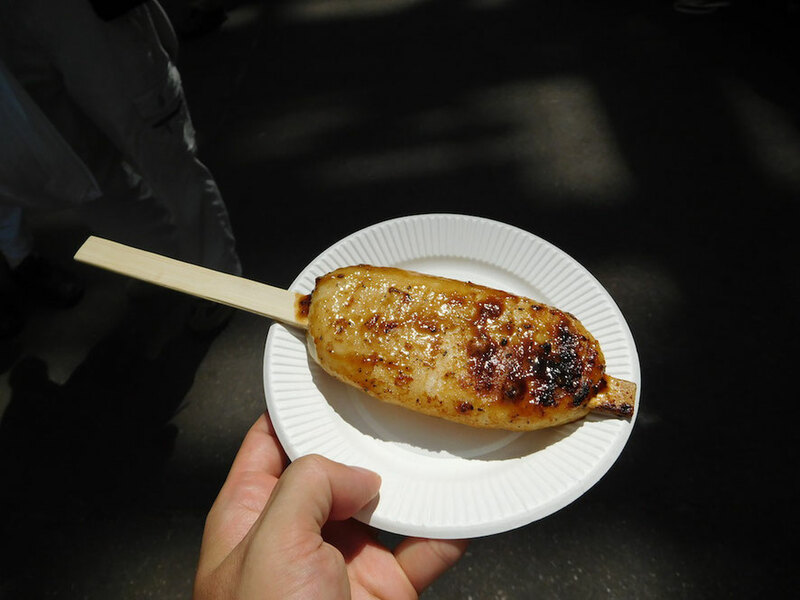 I ate "Gohei-mochi",a famous food of Nigata Prefecture, at stall. It is a big mochi(rice cake) with miso and it is delicious.